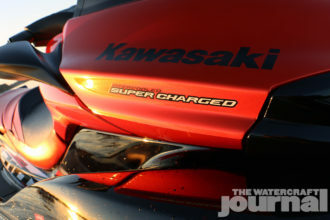 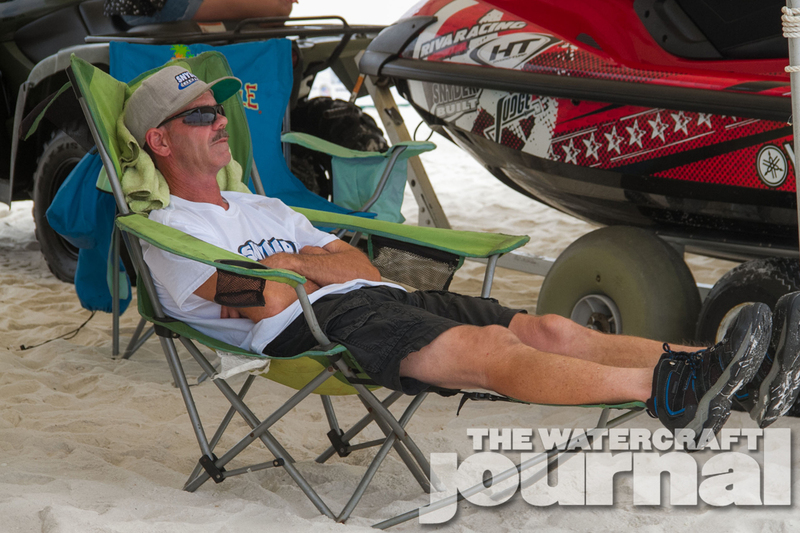 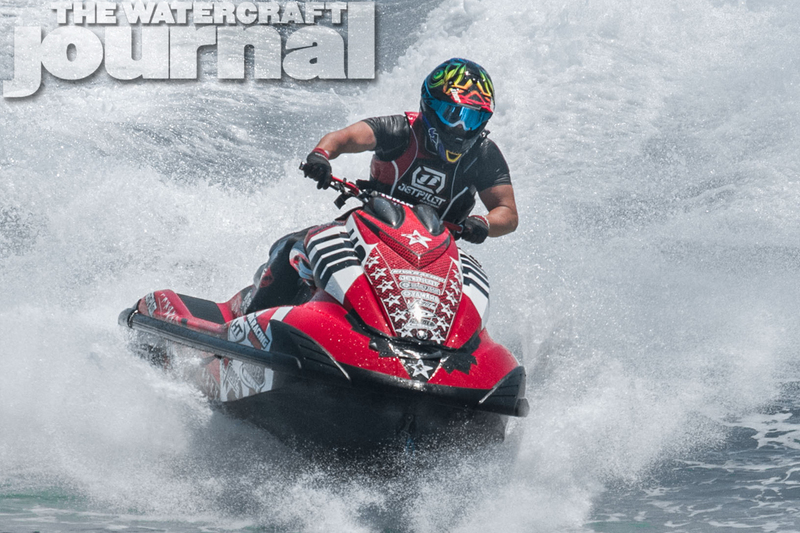 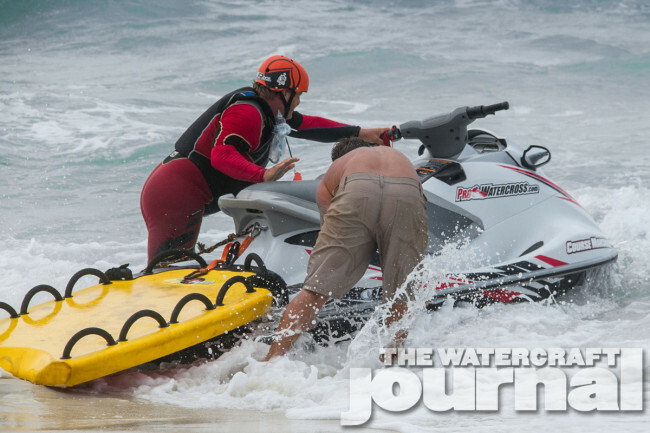 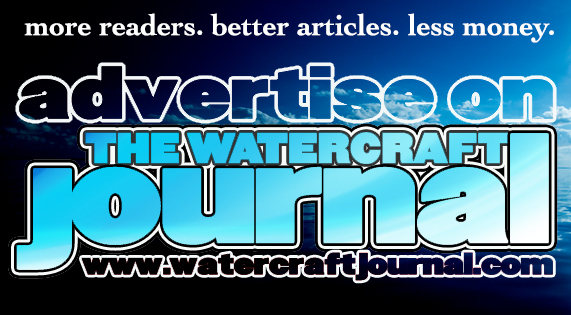 Gallery: Hidden Trails Pro Watercross Tour – Round 2 Pensacola Beach, FL | The Watercraft Journal | the best resource for JetSki, WaveRunner, and SeaDoo enthusiasts and most popular Personal WaterCraft site in the world! 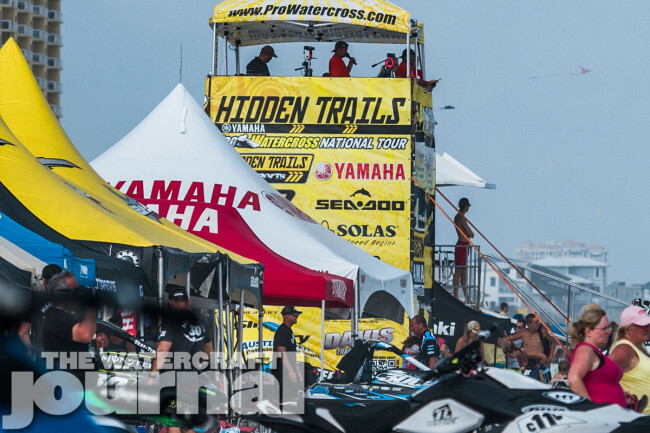 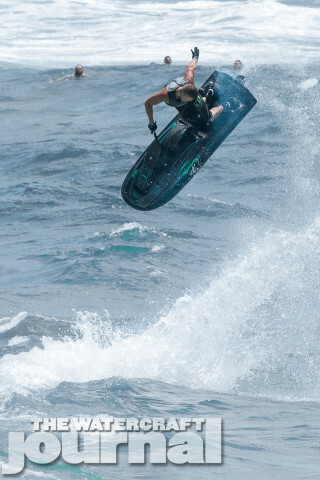 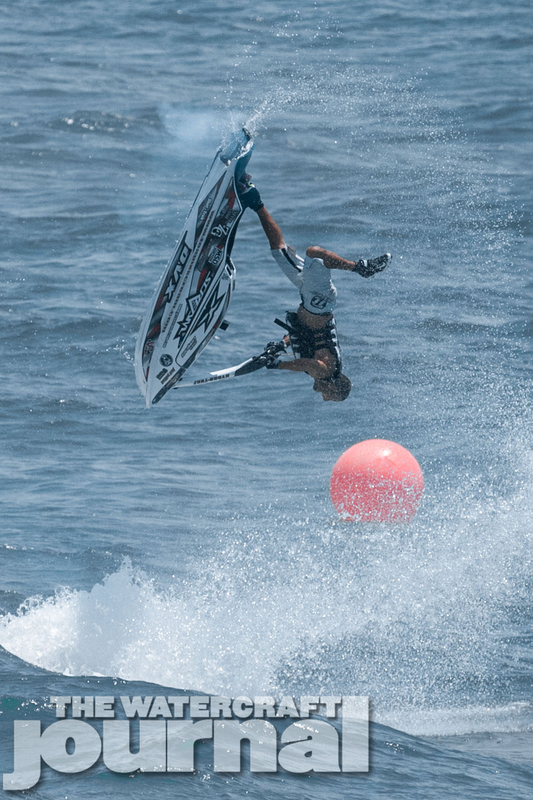 The story for Round Two of the Pro Watercross Hidden Trails National Tour is both a continuation of last year and of last week’s action in Panama City Beach. 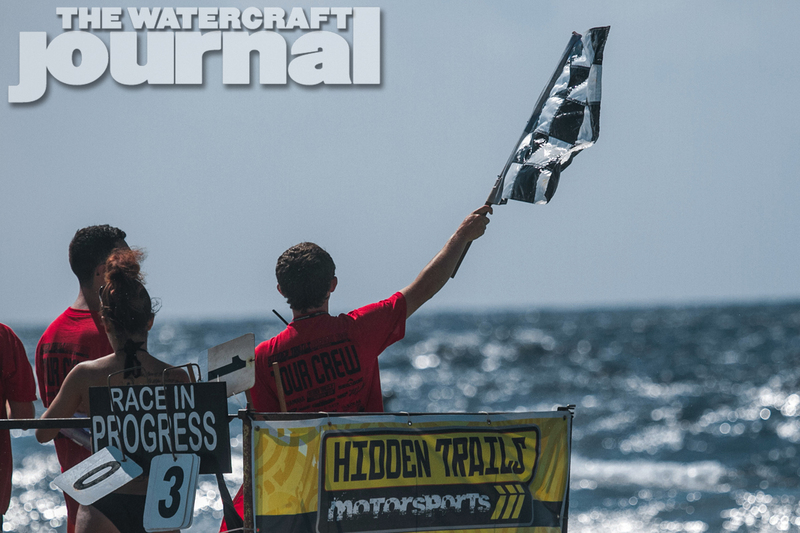 In 2014, the surf conditions were some of the biggest we have seen during a PWC race. 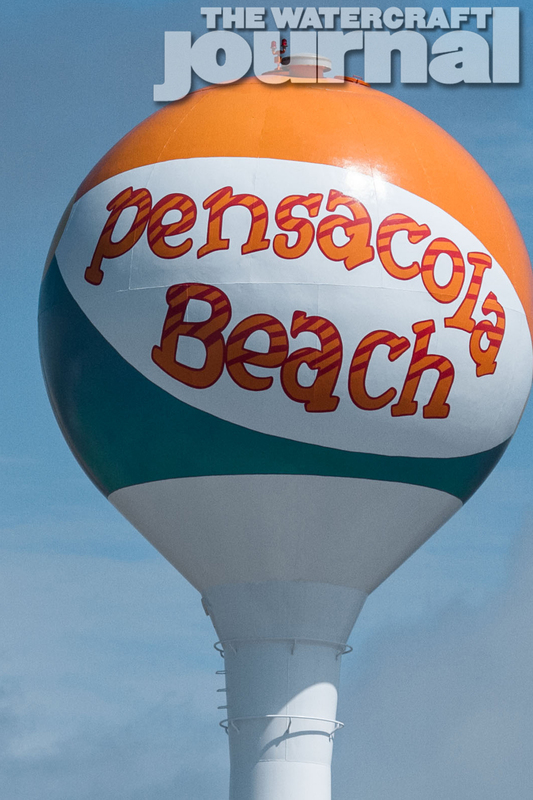 This year, Pensacola did not disappoint the racers or spectators! 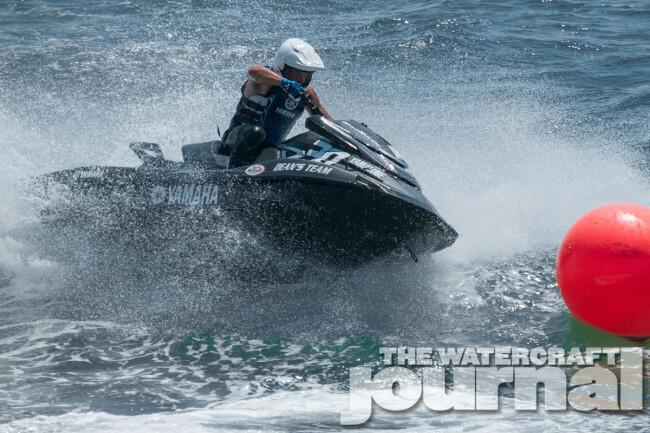 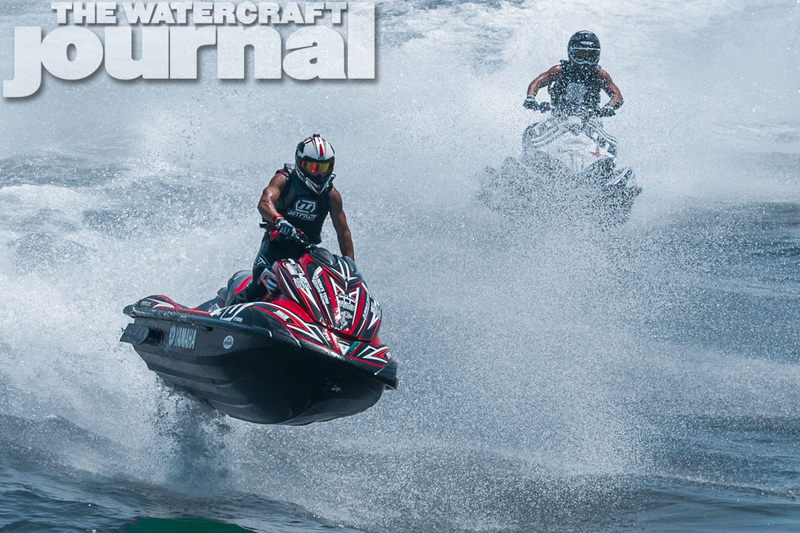 Although conditions calmed down slightly on Sunday, it wasn’t the fastest boat or the biggest factory teams that were assured podium spots; the racing field was leveled and finishes were dictated by the the venue, the waves and the rider’s skill. Last week, the stories centered around the Pro Ski GP, Pro/Am Runabout Stock Classes and a handful of tour racers Chris MacClugage, Dustin Motzouris, Abdullah Al-Fadhel, Brian Baldwin and Eric Francis. In Pensacola, the storylines continued with the big surf adding drama to the mix. The majority of the stops on the Pro Watercross Tour are lakes and do not involve the challenge of 4-to-6 foot wave faces ocean surf. 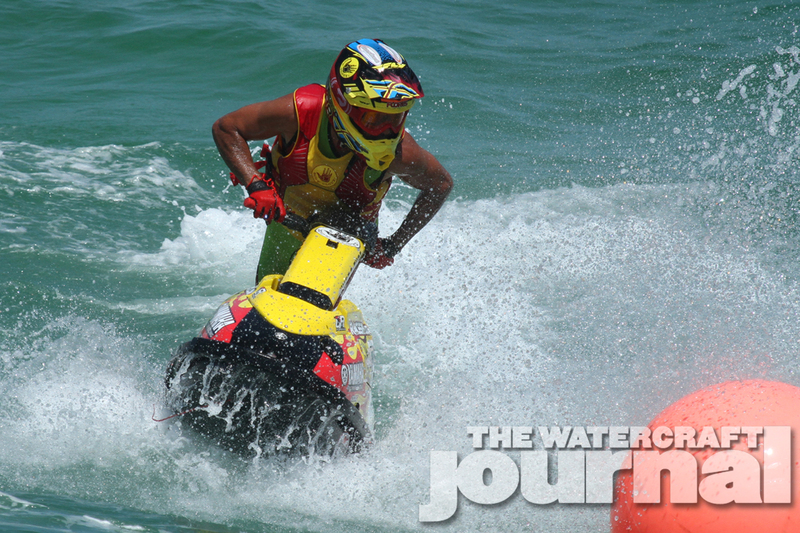 In Freestyle competitions, most riders are divided into two different camps: flat water freestyle and surf. Only a select few of these guys have the ability to cross over the line between the two disciplines and perform their tricks in all conditions. 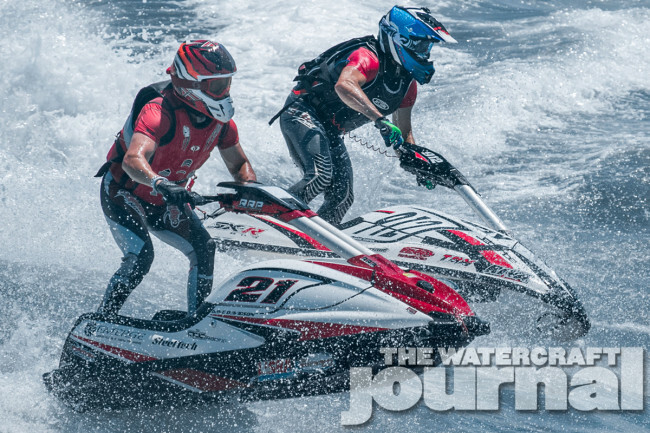 Congratulations to the two Xsceam riders for their performance, for having the skills to take on the Pensacola surf, for crossing over from their flat water routines and for putting on an amazing big air show for the wins! 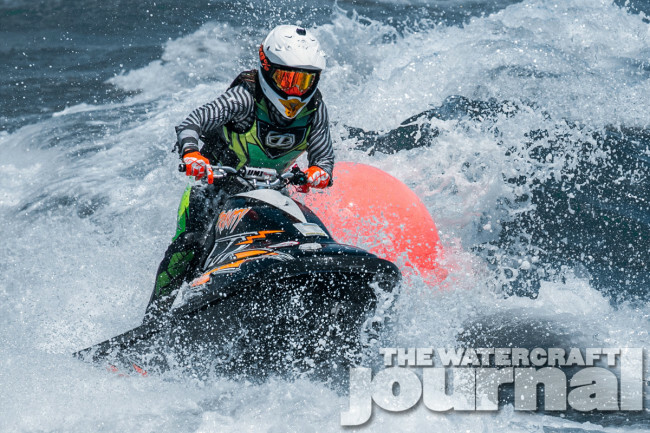 Chris Langlais in Amateur Freestyle and Jason “The Destroyer” Stoyer in Pro Freestyle used the surf to their advantage this weekend! With huge air, backflips, variations and combinations off the Pensacola Beach waves, they showed their versatility and kept the first place hardware in Florida. The biggest highlights for the weekend were the battles that waged in the Pro/Am Runabout Stock Class. The top three riders fiercely took on the surf and each other, swapping positions continuously through all three motos. 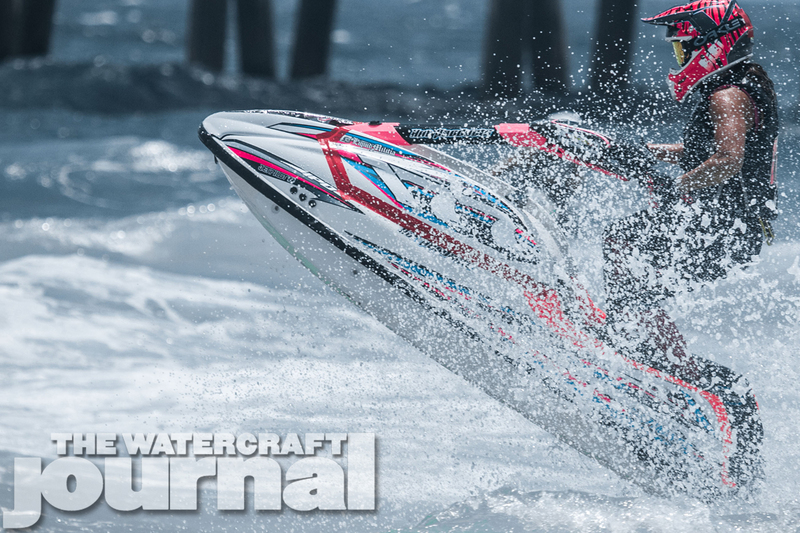 A couple big get-offs and several near catastrophic misses made this one of the most exciting classes to watch in Pensacola! 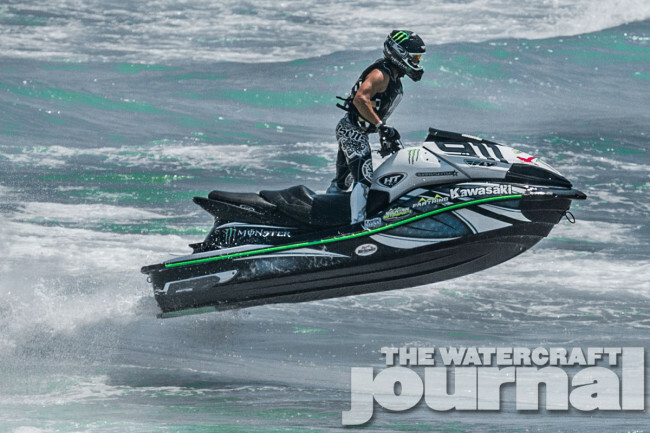 In Moto One, Dean’s Team Yamaha rider Abdullah Al-Fadhel went for a swim, giving Kawasaki’s Eric “The Eagle” Francis the win. 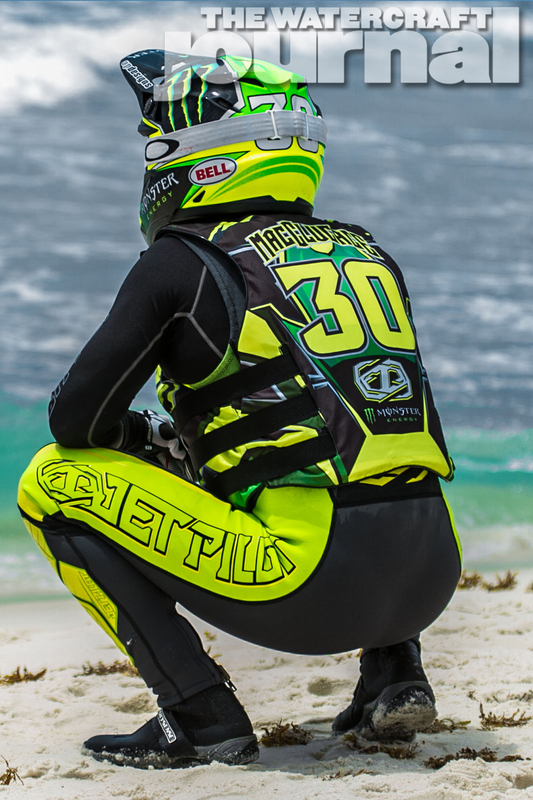 Al-Fadhel came back in Motos Two and Three for 1-1 wins, with Francis right behind him. 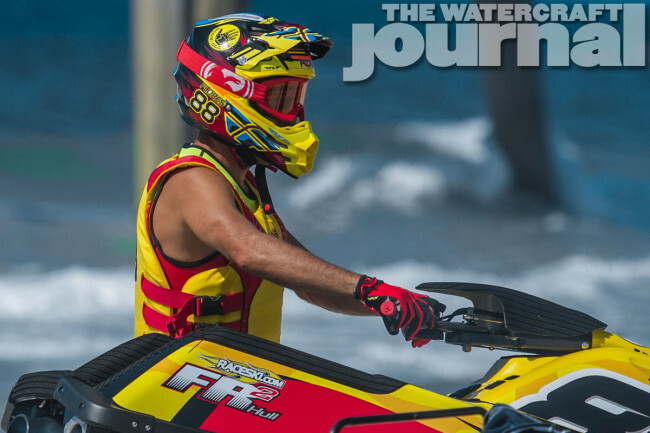 The weekend of first and second finishes earned Francis the overall. Another Dean’s Team Yamaha rider, Brian Baldwin was consistently in the mix. 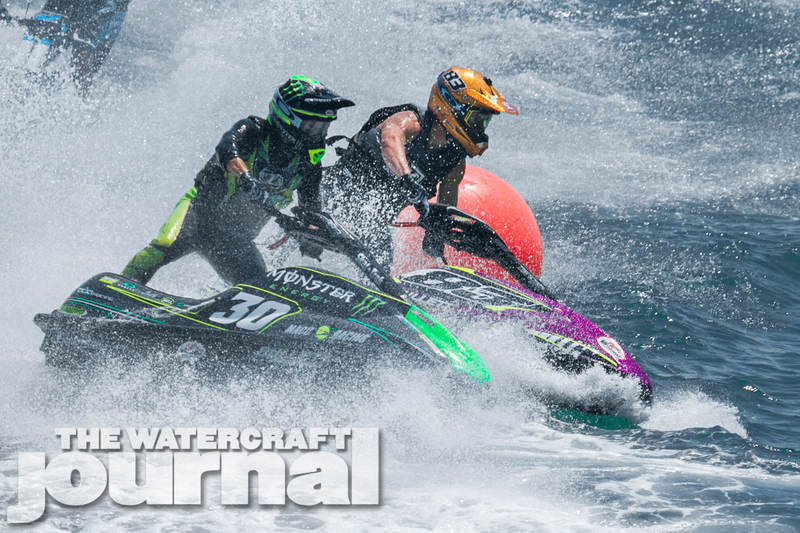 Brian battled Eric for position in Motos Two and Three, but a big wave crash while headed towards the backstretch along the pier, cost him the second place position. 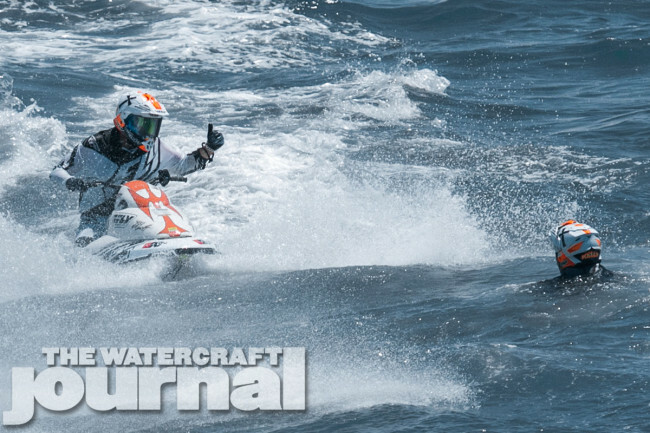 After the weekend was over, Eric Francis came out on top with Al-Fadhel and Baldwin in second and third, respectively. 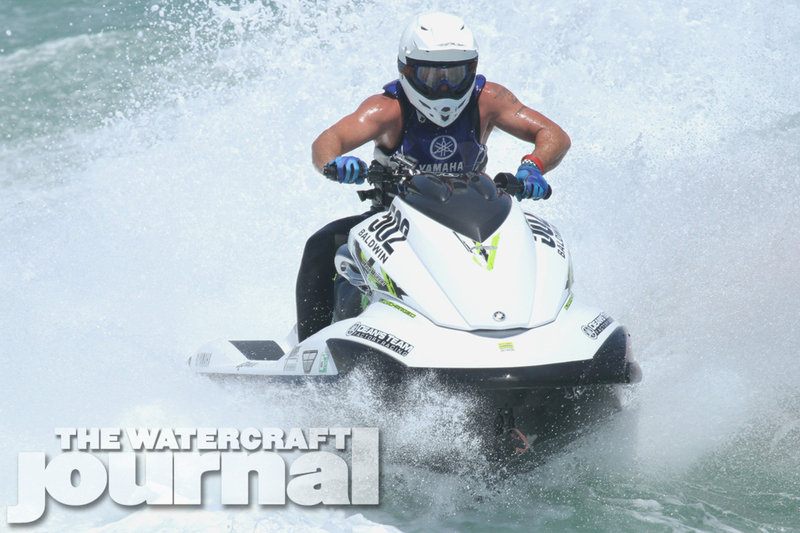 Chris MacCluggage was again atop the podiums in the ski classes on Sunday. 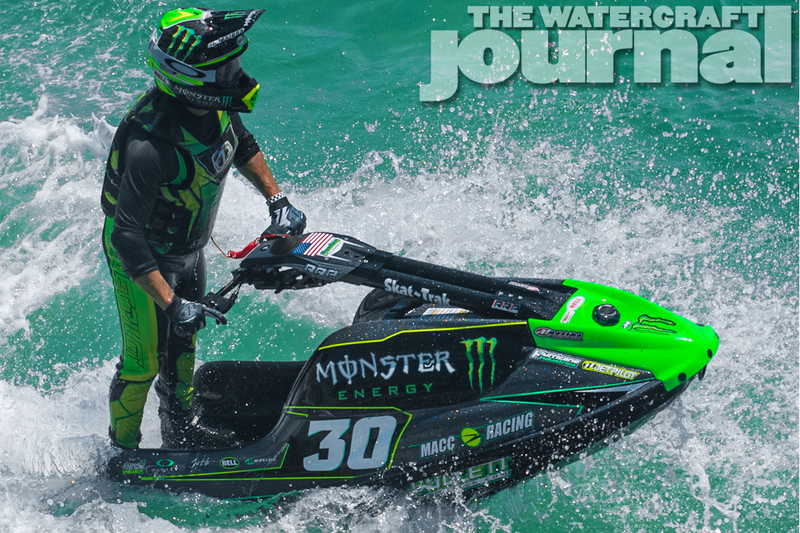 After a setback in Pro Ski GP on Saturday, he came back in the main to win with authority! 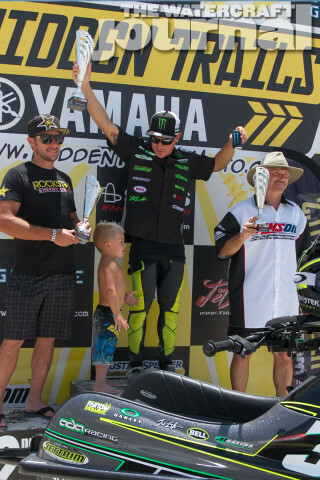 The GOAT lapped riders all the way up through fourth place! 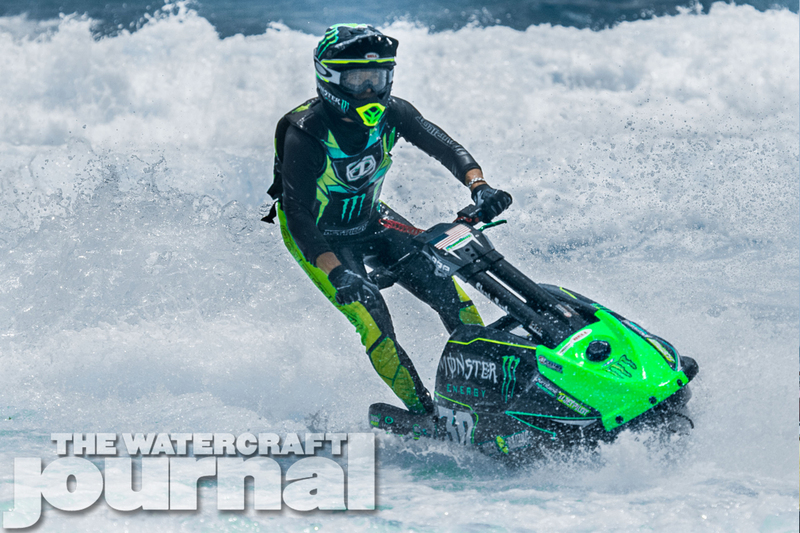 The only competitors he did not pass were Dustin Motzouris and Bill Haig. 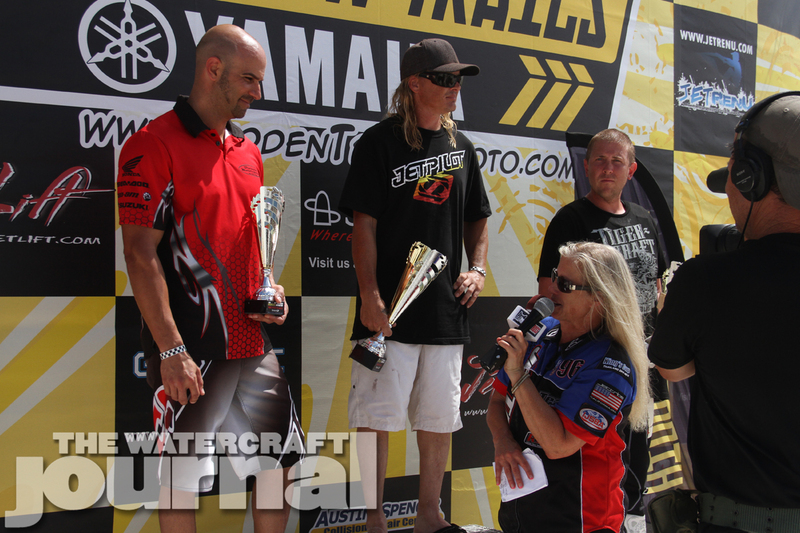 They finished on the podium next to Mac in the second and third spots, respectively as well. 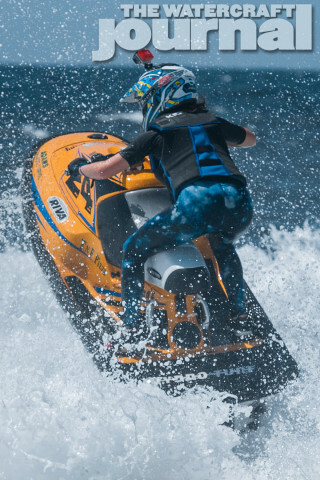 The surf didn’t seem to bother Chris in Pro/Am Ski Stock Class either with his clean sweep, and 1-1-1 finishes in all three motos. He was followed by Jimmy Wilson and Rob Flores in the second and third podium positions. 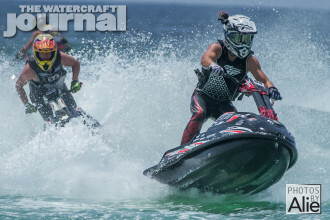 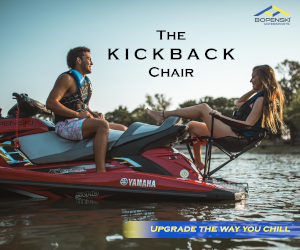 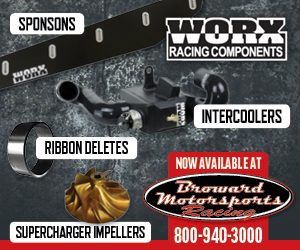 The Pro Watercross Tour introduced two new classes into the “Pro Show” ranks at their opening round in Panama City Beach last weekend, namely the new Pro/Am Box Stock Class and Sport GP Class. Following up on the results, Eric Francis was the dominant force in the Pro/Am Box Stock Class with a clean sweep of 1-1-1 finishes in all three motos. 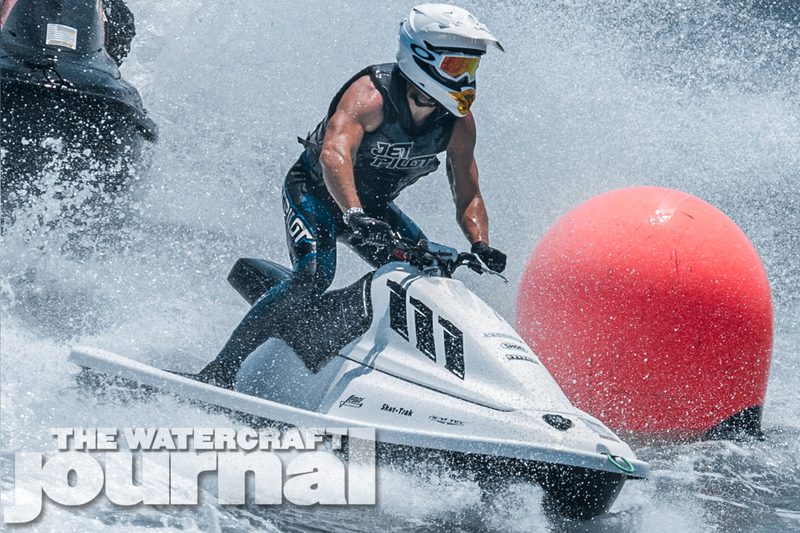 With the surf taking it’s toll on last weekend’s Panama City Beach winner Kelly Smith, Johnny Smith capitalized, and took the overall win in the Sport GP Class with 2-3-1 finishes for first place overall. 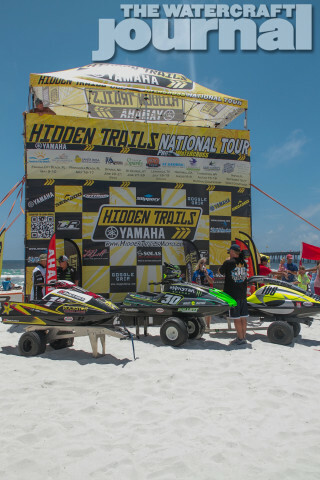 We want to congratulate everyone for surviving the rough surf conditions of Round Two of the Pro Watercross, Hidden Trails National Tour round in Pensacola Beach, Florida. 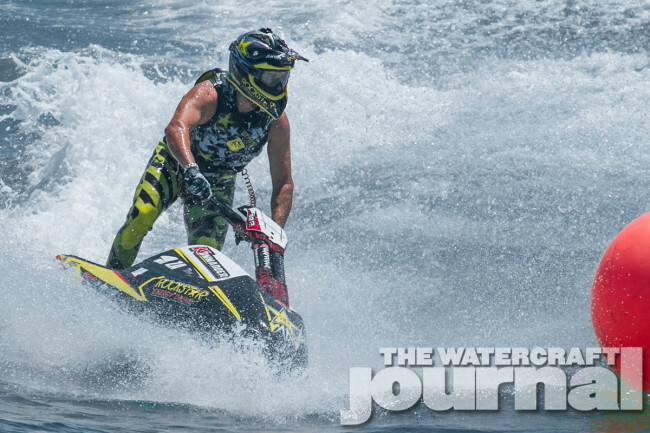 We are excited, and curious to see which riders come out on top as the Tour moves into the flatwater lake venues for the duration of 2015. 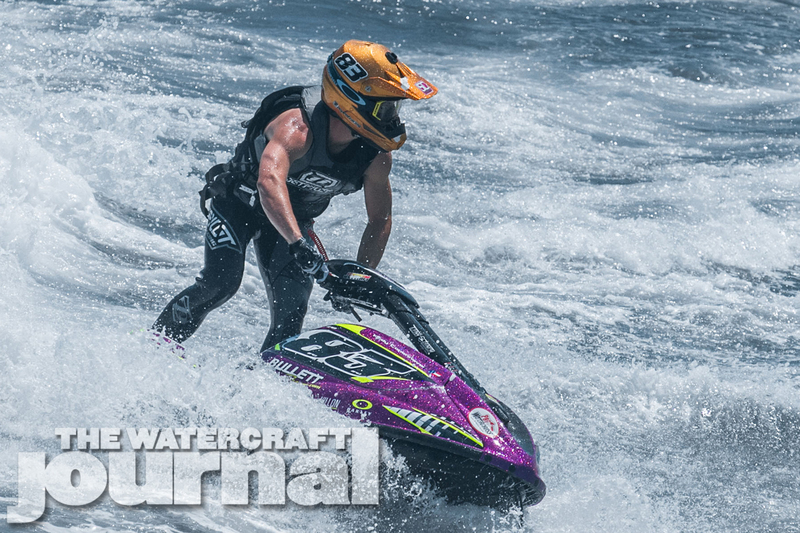 You can catch the continued action on June 20-21 at Round Three of the Pro Watercross Tour in Reno/Sparks Nevada. 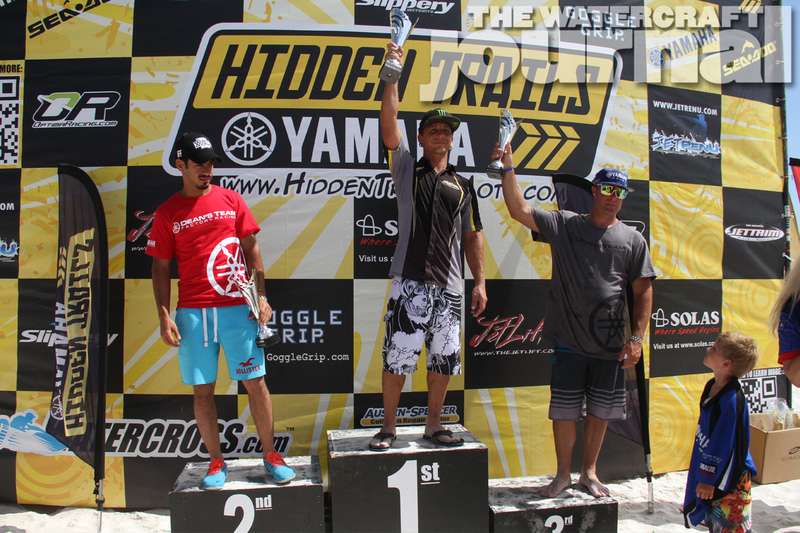 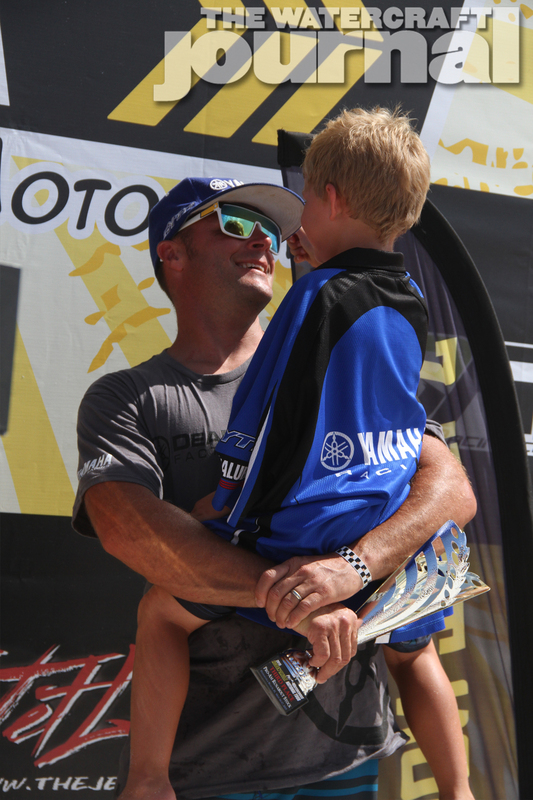 Full results from Round 2 of the Hidden Trails Pro Watercross National Tour can be found HERE. 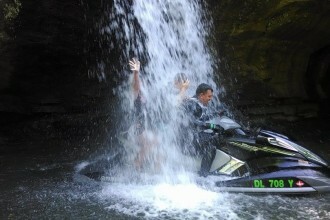 All images courtesy of Alie Block’s Photos by Alie and are available for purchase HERE.